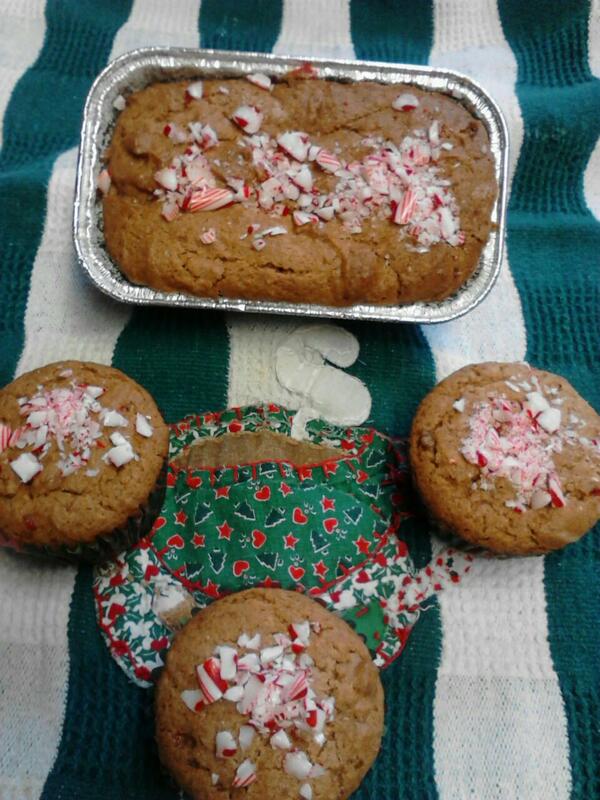 This Gluten Free Dairy Free Candy Cane Amish Friendship Bread makes the perfect gluten free and dairy free winter treat! Kitchen Friend Beverly Horner shared this recipe with us and offered these helpful hints: Peppermint pudding can be used instead of the vanilla pudding and peppermint oil. Instead of milk to make this a dairy free recipe, use almond milk. Jello brand pudding mix seems to be dairy and gluten free. If you want to make cupcakes instead of mini loaves, this recipe yields 16 cupcakes. Bake for 45 minutes or a toothpick inserted in the center of the bread comes out clean. Sprinkle the top of the hot bread with the more crushed candy cane.